The Run for the Red 5K (R4R) is an annual fun run hosted by the American Red Cross Club at the University of Michigan. The run has grown tremendously since its inception in 2013. 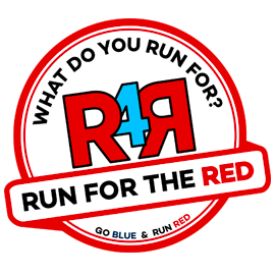 R4R’s theme is “What Do You Run For?” This theme allows participants to showcase what they are passionate about. Of course, the American Red Cross Clubs runs for the RED. This run aims to unite various on and off campus organizations while raising funds to continue the work of the organization on campus and in the community. 100% of profits received from the 2017 Run for the Red 5K are used to promote the mission of the American Red Cross in the local community. No upcoming events hosted by American Red Cross Club at the University of Michigan at this time.